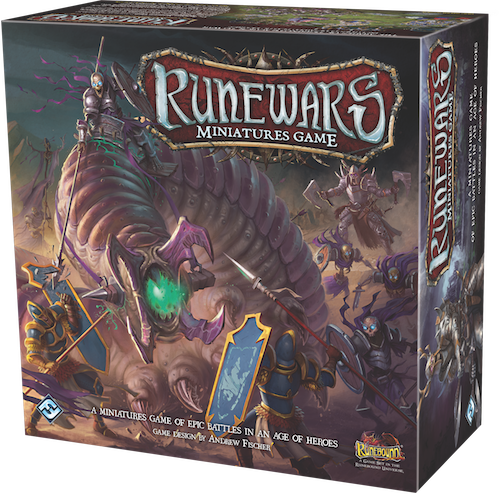 Runewars: Miniatures Game is a two-player miniatures game of battles between the great powers of Terrinoth. 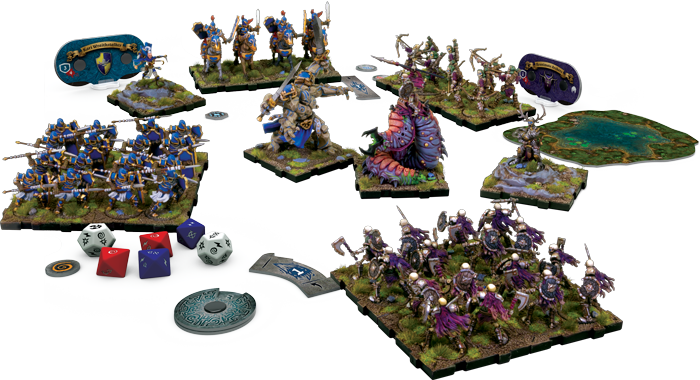 In each game, you and your opponent will gather armies of miniatures and lead them into battle—blocks of infantry will maneuver for position, cavalry wings will wheel and slam into a weakened flank, and monstrous rune golems or carrion lancers will smash through formations of lesser warriors. Innovative command tools, two distinct factions, and countless ways to customize your experience combine to offer an unparalleled miniatures gaming experience in RuneWars. Finally, with forty-eight beautifully sculpted, unpainted figures, you’ll be able to paint and customize your armies to bring an entirely unique touch to your games and enter the hobby of miniatures painting!